More Food. Less Hunger. It sounds simple, but each day Second Harvest Food Bank of North Central Ohio is committed to making this a reality for our neighbors in need. 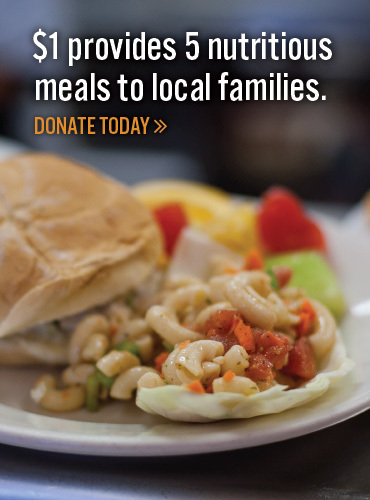 We work with over 100 partner charities to help families put healthy meals on the table and provide a sense of hope. A planned gift is one made to a non-profit organization that provides long term support and assists organizations in building a sustainable future. Whether made during your lifetime or after, a planned gift is an opportunity to support an organization whose mission is important to you and your family. Your planned gift helps Second Harvest continue to provide food assistance and advocate for our community. A benefit of planned giving is that it allows for flexibility in your financial planning. Your gift can be customized to you and your family. When considering a planned gift, we recommend that you consult your attorney or financial planner. Our Development staff can assist to help find the right gift that reflects your values and your desire to create a lasting legacy of hope, dignity and security for those depending on us.